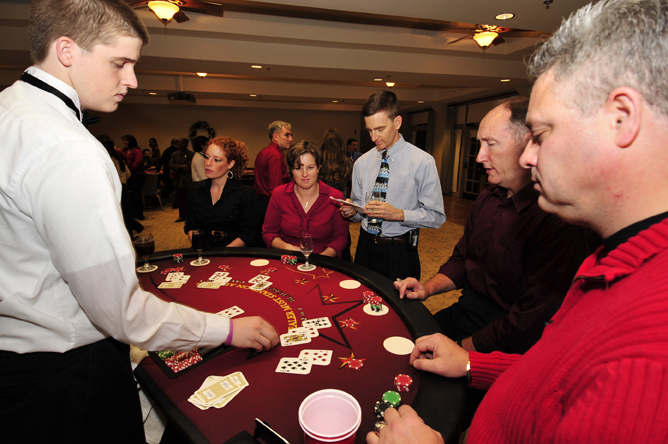 Todd Elliot Management & Entertainment provides top quality professional Casino Games for any event, or party. 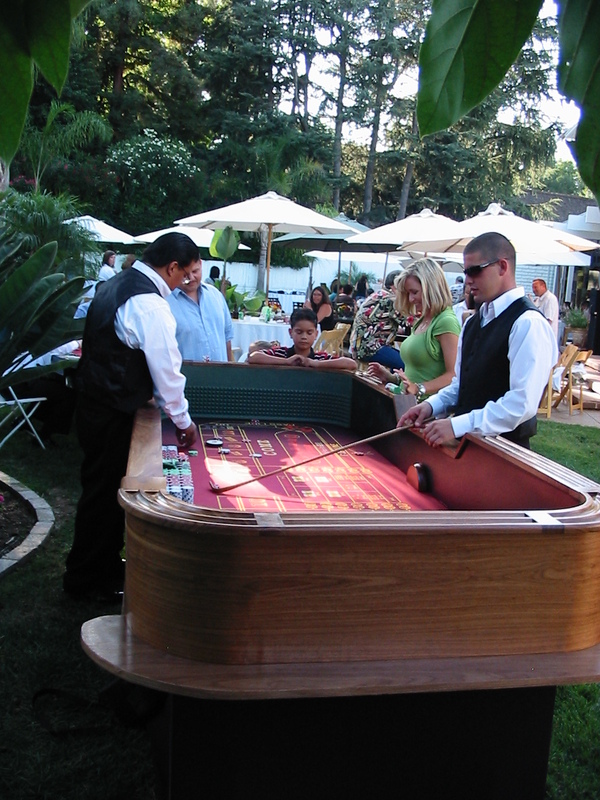 We produce entertainment events with a casino gaming table theme throughout Los Angeles and Orange Counties. 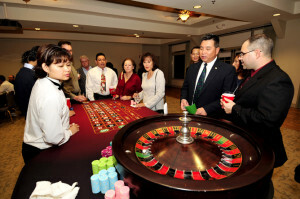 We bring the casino to you which is one of the fastest growing and most popular special event themes going. Have a Vegas night theme party and hit the jackpot. Your guests will remember your event for years to come. Games are played for fun, amusement only. Your guests can only lose the funny money that was given to them at the beginning of the party. We employ professional dealers and many have dealt in Las Vegas, some of those casinos are: MGM, Stratosphere, Mirage, 4 Queens and some of the local casinos as well such as Pechanga, Morongo, and Pala. Our dealers cater to the guests with a lot of experience gambling high rollers or to the novice players. We are able to keep the flow of each game that is dealt just like in any of the real casinos as well as instruct new players on how to play the games. 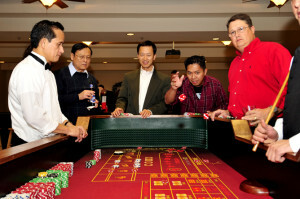 Our tables are high quality, and have casino grade layouts. We use 11.5 gram chips, high quality playing cards as well as 32 inch roulette wheels. Our tables are kept in really good condition. We have stools for the blackjack tables. Other Features of our Casino Services. Over thirty-five years combined experience in the casino party field You will not find any plastic chips on our Casino Services table games. We use casino clay chip for the authentic casino look and feel. With advance notice we can bring casino gaming tables at dining table height to accommodate the physically challenged and seniors. Drink rails and table skirting on the craps and roulette as well as cushioned arm rails on the blackjack games. Delivery and setup of casino gaming tables Friendly courteous dealers in professional attire Play money, clay poker chips, raffle tickets to exchange for chips included Fundraiser Tips Casino Equipment Rentals. Check out the poker tournament below.